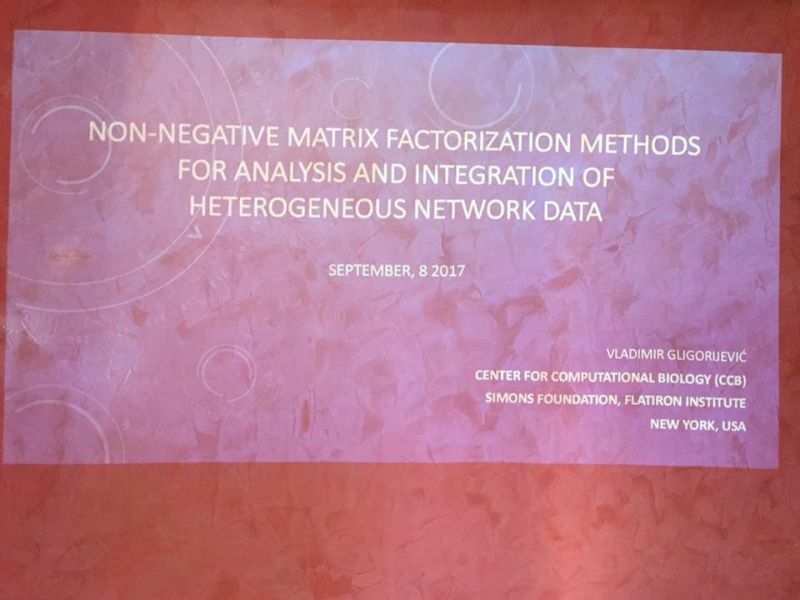 for Analysis and Integration of Heterogeneous Network Data"
will be given by Dr. Vladimir Gligorijević (Flatiron Institute, New York, USA). In many areas of science and technology data describing a process or a system of interest and its individual components can be obtained from different types of instruments, using different acquisition techniques and experimental setups. 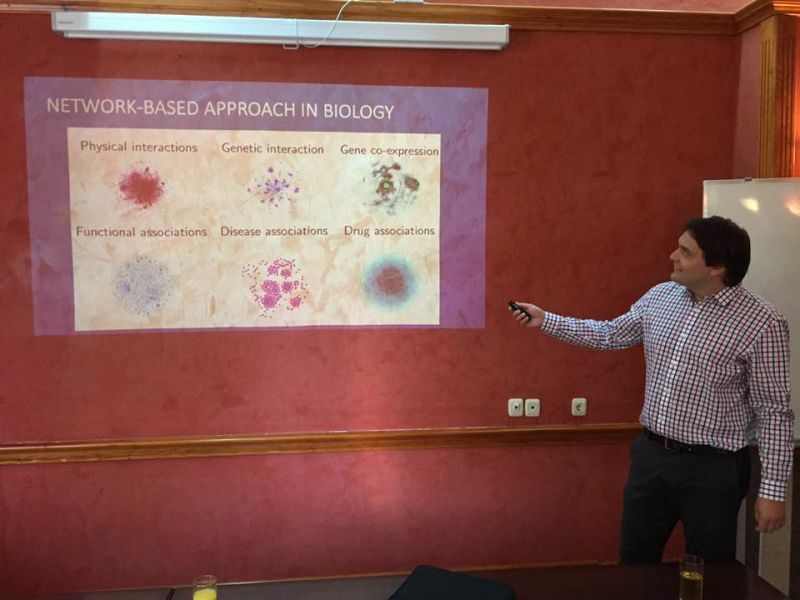 For example, in biology and biomedicine, rapid technological advances have led to the production of such heterogeneous and multimodal data, and enabled construction of complex networks with various types of interactions between diverse biological entities. 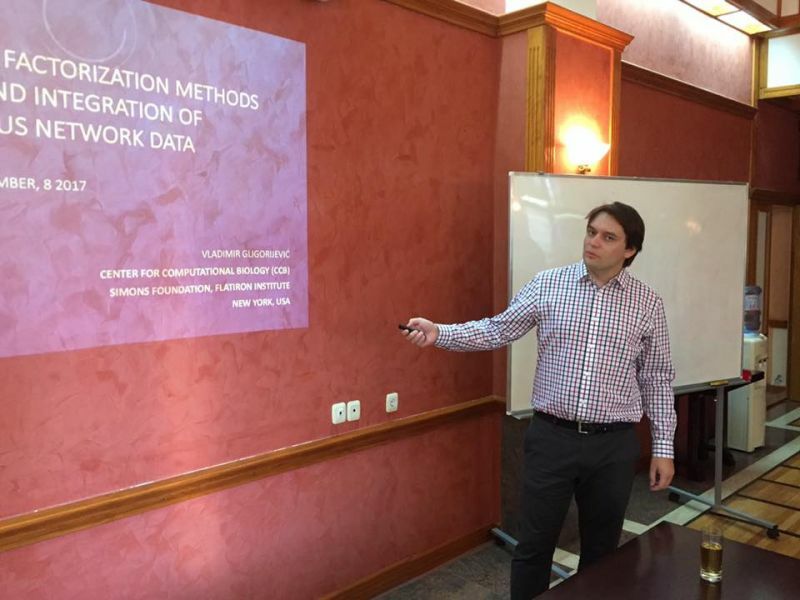 Conventional network data analysis methods were shown to be limited in dealing with such multi-relational network data, as they are designed specifically for analysis of single-relational networks . 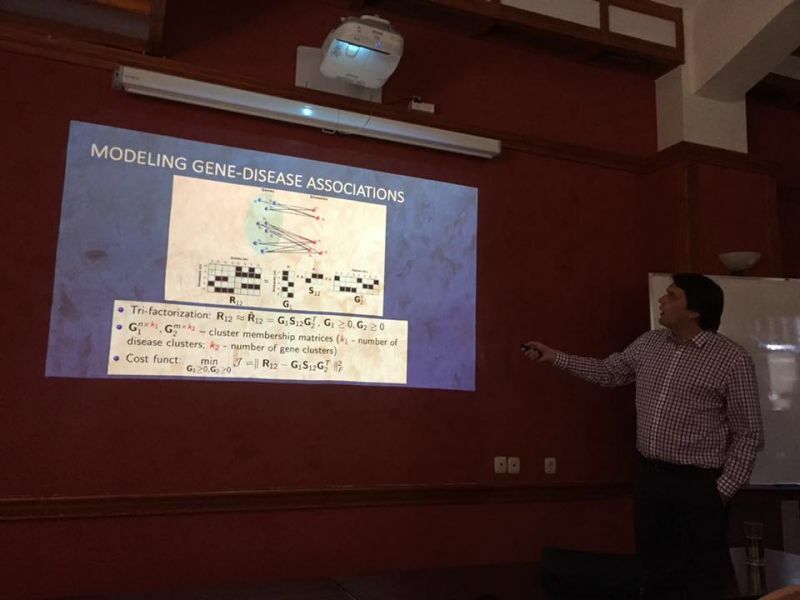 In this talk, we will introduce integrative methods that can collectively mine multiple types of biological networks and create more accurate integrative models capable of producing more holistic, systems-level biological insights. The proposed methods are based on Non-negative Matrix Factorization (NMF), a dimensionality reduction technique, that is further extended for learning and modelling dependencies between large-scale heterogeneous and multimodal network data. 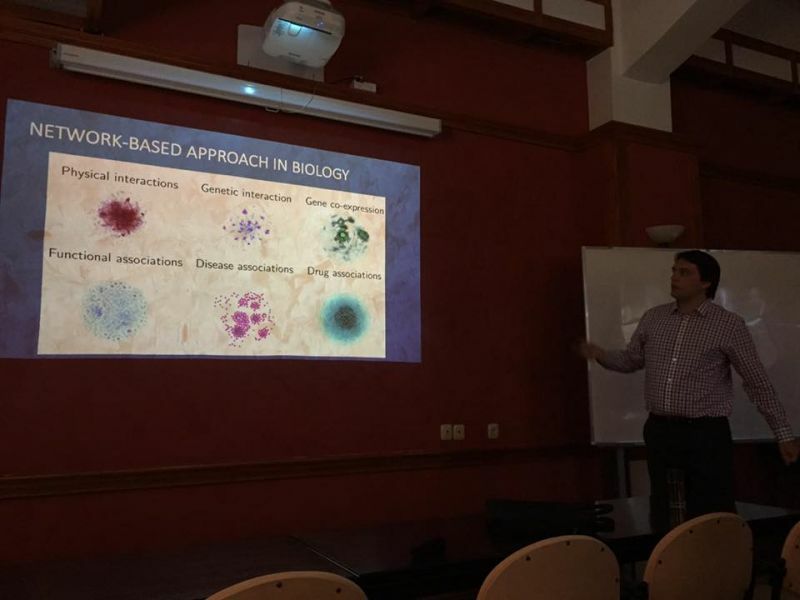 In the first part of the talk, we will demonstrate the applicability of our methods on diverse biological problems including protein function prediction , alignment of multiple PPI networks from different species with the goal of discovering clusters of proteins that are evolutionarily and functionally conserved across all networks  and extraction of composite functional modules from multimodal biological networks . In the second part of the talk, we will focus, in more details, on the challenges in personalized medicine. 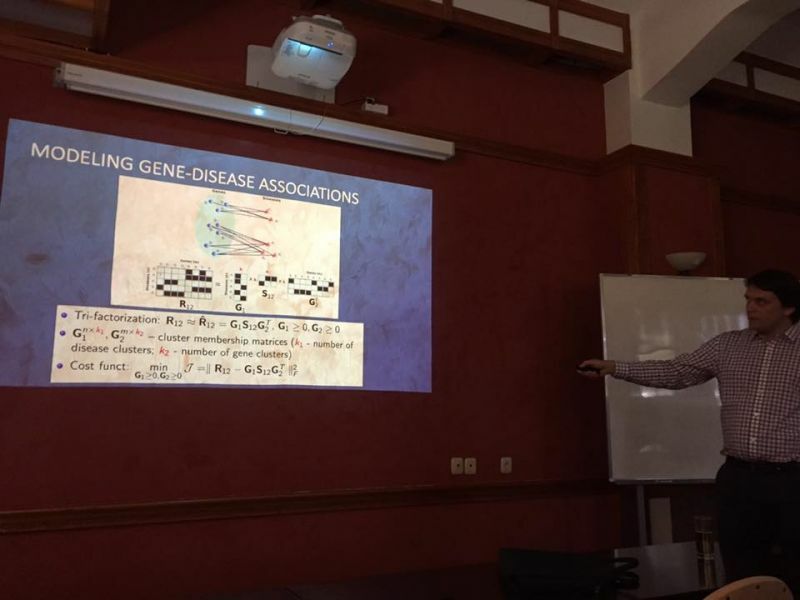 Here we will explain in detail our method for addressing the key challenges in cancer research: stratification of patients into groups with different clinical outcomes, cancer progression, prediction of driver genes whose mutations trigger the onset and development of cancers, and re-purposing of drugs treating particular cancer patient groups. We will outline some of the results obtained by applying our framework on ovarian cancer data . V. Gligorijević, N. Pržulj, Journal of the Royal Society Interface 12.112 (2015): 20150571. 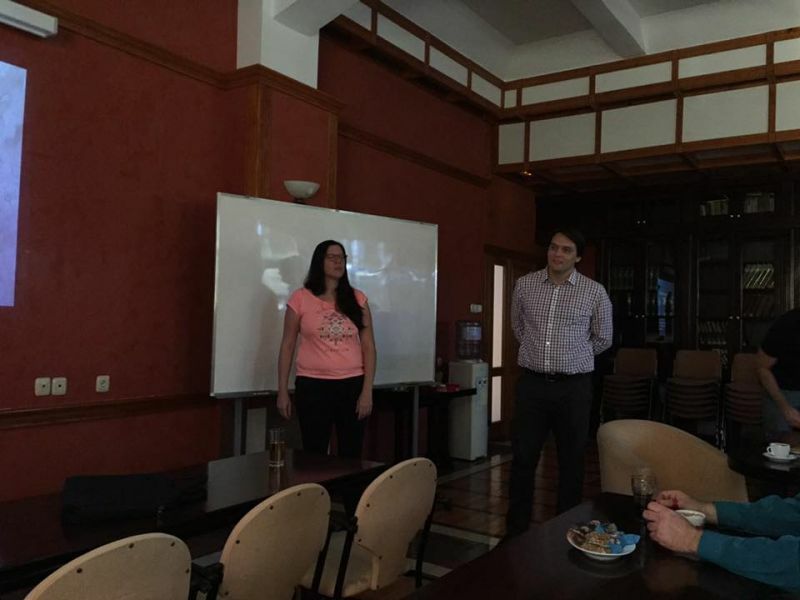 V. Gligorijević, V. Janjić, N. Pržulj, Bioinformatics 30.17 (2014): i594-i600. 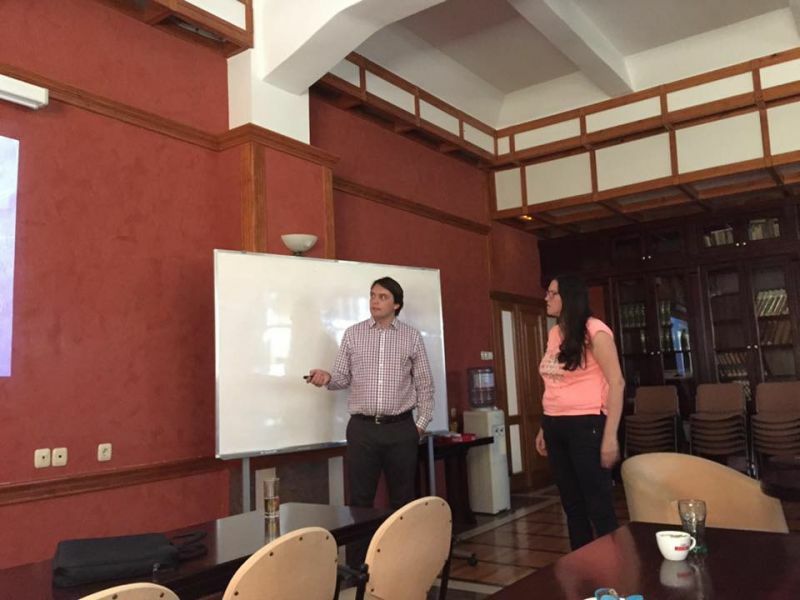 V. Gligorijević, N. Malod-Dognin, N. Pržulj, Bioinformatics 32.8 (2015): 1195-1203. 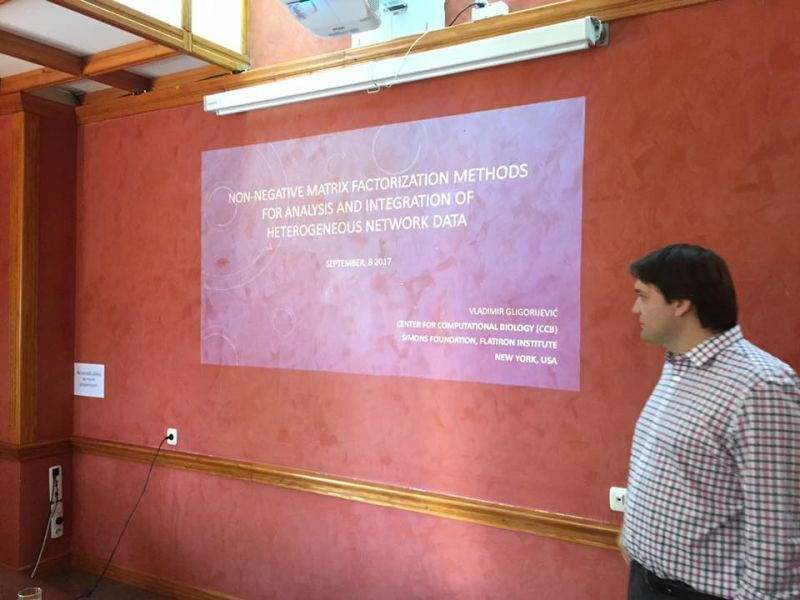 V. Gligorijević, Y. Panagakis, S. Zafeiriou, arXiv preprint arXiv:1612.00750 (2016).